Prague has an extensive underground. 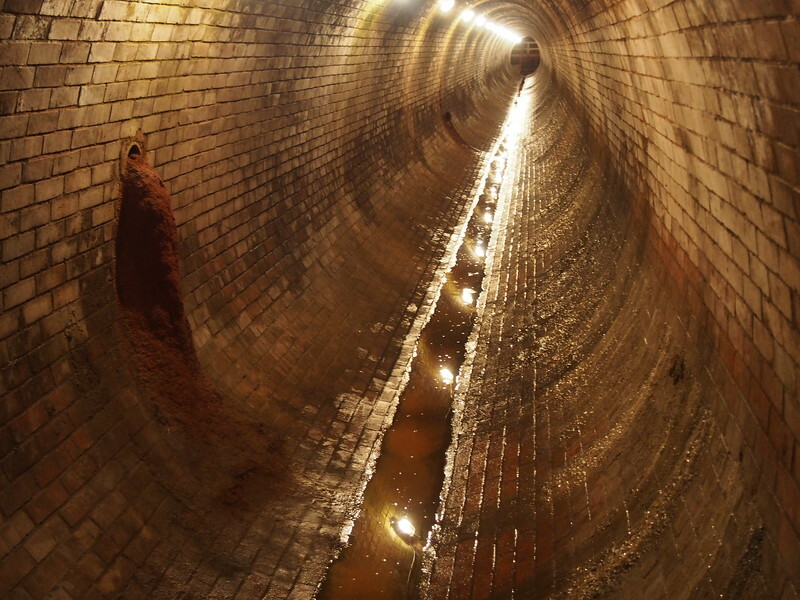 There are 2360 km of sewers but that doesn’t include the tunnels from the old sewer system. 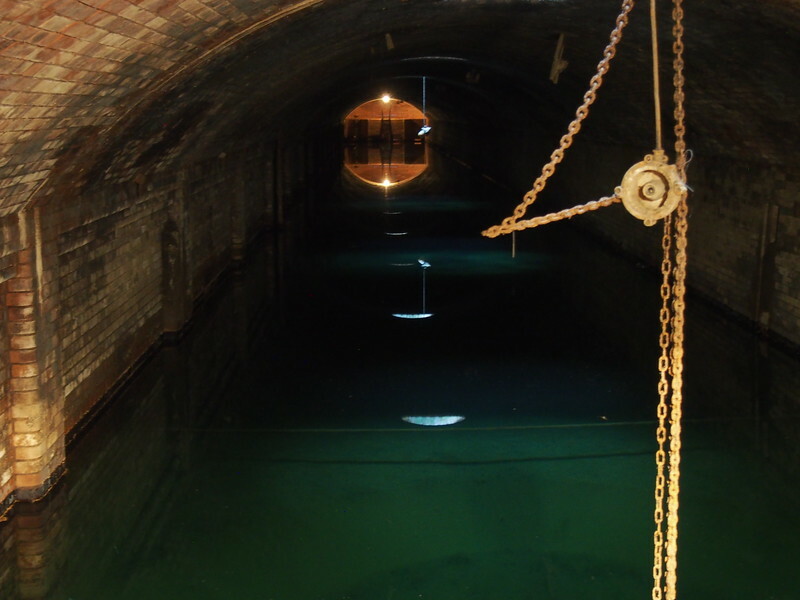 Some say the total number is 4,000 kilometers of sewers running underneath the city. 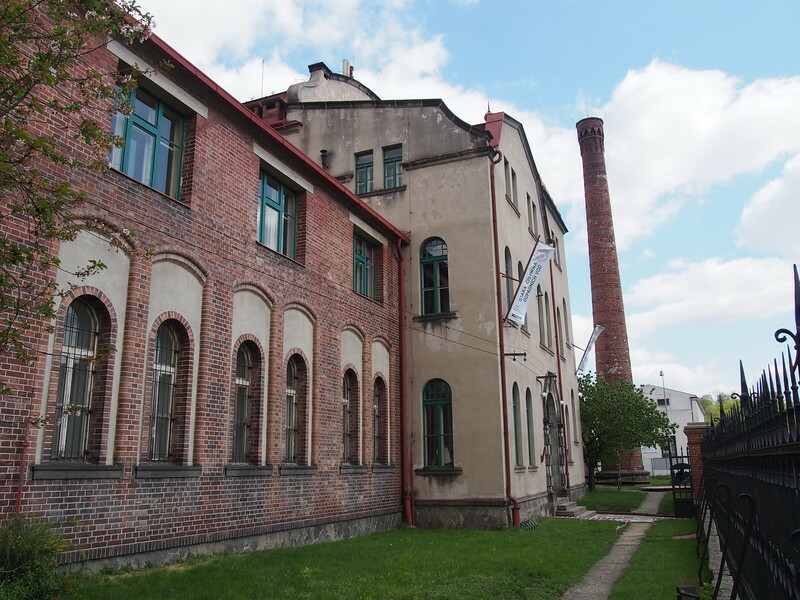 To get to the Old Wastewater Treatment Plant in Bubeneč, take a tram or metro to the Hradčanská stop. Cross the train tracks at the barrier, turn right and you will see the 131 bus stop. Note, this is not on the main street where there is a line of bus stops, you need to cross the train tracks. You will take the 131 bus 2 stops to Goetheho. Outside of the old wastewater treatment plant in Bubeneč (Stará čistírna odpadních vod). Depending on which way the wind is blowing, the first thing you might notice when getting off the bus is a really bad odour. That smell is coming from the nearby modern wastewater treatment plant on an island in the middle of the Vltava river. Don’t worry, you won’t smell it once you get inside the building and the old tunnels which have not been used since 1967. Usually, I am touring underground spaces without Little Nomad, but today I was meeting up with several families from the Prague Worldschooling group. 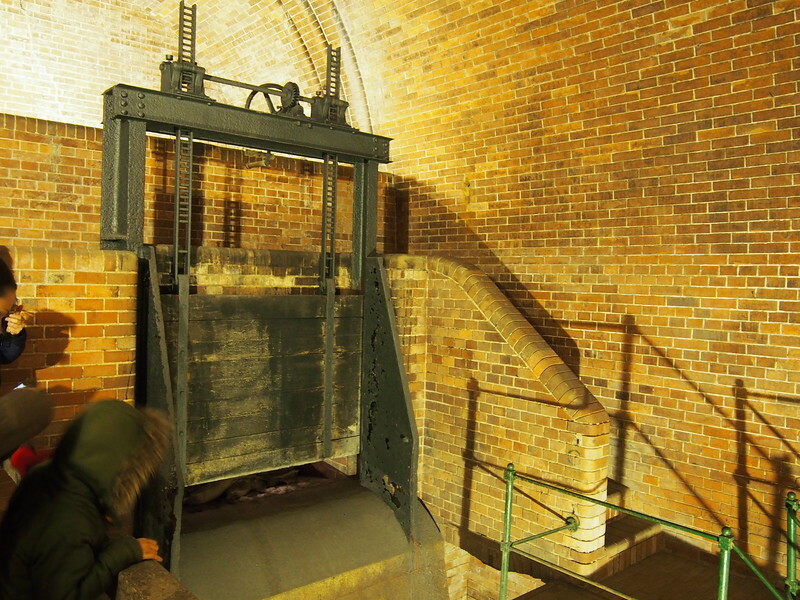 This sluice gate was the entry point for the water from Prague’s gutters. 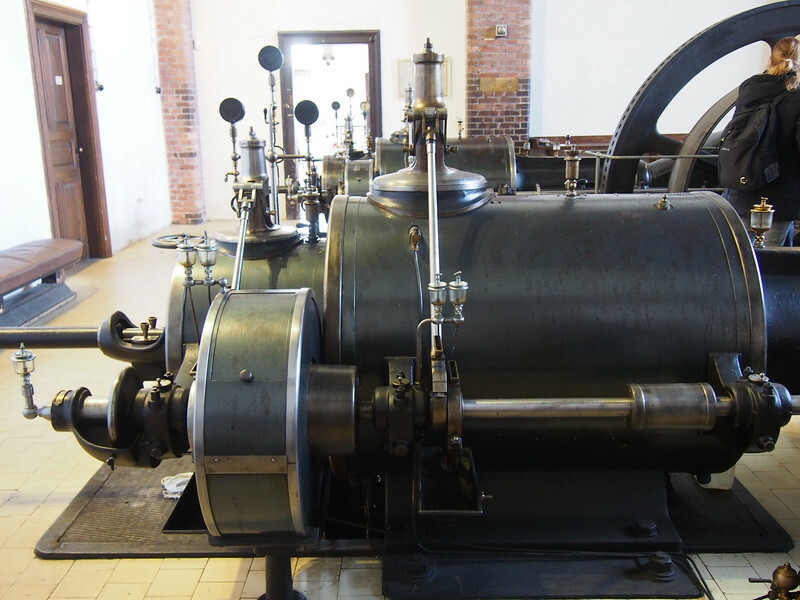 Steam engine room. This was built in 1903. The guide said that these machines are still functional. Walkway above the settling tanks. 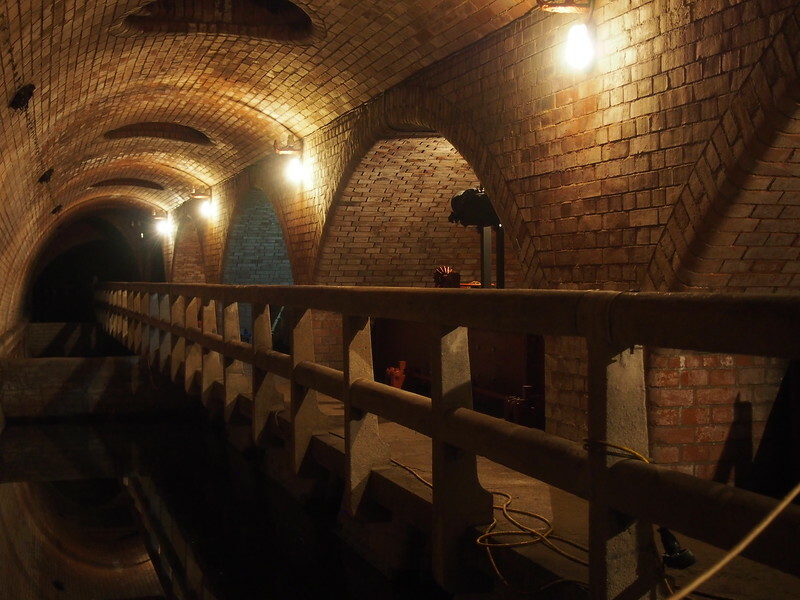 The interiors of the Bubeneč Wastewater Treatment Plant have been used in many films including Mission: Impossible 4, Les Misérables, and Blade 2. There are 10 sediment basins which are 90 metres long and 6 metres wide. If my math is correct, the total holding capacity for these basins is approximately 3,170,064 gallons. The largest tunnels measure 60–100 meters wide and 2.5–10 meters high. We only got to walk through a very short section.